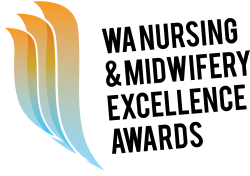 The WA Nursing and Midwifery Excellence Awards are firmly focused on recognising excellence and all worthy Western Australian nurses and midwives, irrespective of their area of practice or place of work, are eligible for nomination. Western Australia has approximately 38,000 nurses and midwives and the sectors and settings that they work in are incredibly diverse. Nurses and midwives make a difference on a daily basis in a diverse range of practice settings. They play a vital role in responding to the health care needs of the community they serve and contribute to growing the evidence to inform and provide rigor to clinical decision making, teaching and learning practices, healthcare outcomes, strategy and policy reform. ﻿Excellence can be reflected as an exceptional talent, quality or commitment which surpasses usual standards, with the nurse or midwife consistently going over and above to make a difference. Making a positive difference with demonstrated professionalism and leadership in their area of nursing or midwifery practice. The nomination categories aim to cover all the areas and sectors of nursing and midwifery practice including public, private or federally funded services. Given this breadth﻿ and diversity, the categories offered are broad, and cover the streams or practice environments nurses and midwives work in to include: clinical, education, management, and research. Particular specialty areas, such as mental health, critical care, paediatrics etc, can be nominated across the many categories related to the nurse or midwife’s area of practice. Changes to the 2019 WA Nursing and Midwifery Excellence Awards (WANMEA) have been made following a major review of the 2018 Awards. These changes involve the addition of a new category and amendments to the nomination process. This year we have introduced a new category; the Excellence in Person Centred Care – Team Award. There are many exceptional nursing and midwifery teams in a variety of health settings in WA. This award has been established to recognise the contribution of these teams to the consumers they serve. Scroll down to Excellence in Person Centred Care – Team Award explained for further information. You must gain the support of your Director of Nursing/Midwifery/Head of School/Head of Service(whichever is applicable). Nursing and Midwifery leaders in your organisations are very keen to support nominations of their nurses and midwives and to see them have the best possible opportunity to do well. As such, you are required to ensure completion of the Endorsement of Nomination form and include it as an attachment to the nomination. All sections of the form must be completed. To access the Endorsement of Nomination form click here. A statement from the nominee is now required to give the judging panel further insight into the nurse or midwife. This is because we are no longer conducting interviews as part of the judging process, and will not be requiring a curriculum vitae as we have done in previous years. In the Nominee Statement the nurse or midwife will have the opportunity to respond to questions that would normally be asked in an interview. Please ensure the nurse or midwife you are nominating completes this statement so you are able to include it as an attachment to the nomination. To access the Nominee Statement form click here. We have eleven general categories for nurses and midwives to be nominated in. This award recognises the outstanding performance of the Enrolled Nurse who demonstrates an excellent standard of practice and professionalism to provide high quality, safe, evidence based, person centred care. The nurse is an excellent role model and works collaboratively to advocate for, and involve patients and families in decision making to promote positive health outcomes. This category is for enrolled nurses who are currently working within any sector not covered by the other categories, anywhere in Western Australia. Examples may include acute care, sub-acute care, care awaiting placement, extended care, hospital in the home, mental health or rehabilitation. This award recognises the outstanding performance of the Registered Nurse who demonstrates an excellent standard of practice and professionalism to provide high quality, safe, evidence based, person centred care. The nurse is an excellent role model and provides leadership and advocacy, contributing to standards of nursing care and positive health outcomes by promoting continuous quality improvement and evidence based practice. This category is for registered nurses who are currently working within any sector not covered by the other categories, anywhere in Western Australia. Examples may include acute care, sub-acute care, care awaiting placement, extended care, hospital in the home, mental health or rehabilitation. This award recognises the outstanding performance of the Registered Midwife who demonstrates an excellent standard of midwifery practice and professionalism to support women centred, evidence based care to positively impact the health outcomes of the woman, baby and family. The midwife is an excellent role model, delivers high quality, evidence based care and demonstrates leadership advocacy and commitment to collaborative midwifery practice. This category is for midwives who are currently working within any sector not covered by the other categories, anywhere in Western Australia. Examples may include antenatal care, labour care, post-natal care provided in community or hospital settings. This award recognises Enrolled Nurse, Registered Nurse or Midwife who is an excellent role model and demonstrates leadership to significantly contribute to excellence in nursing or midwifery practice. The nominee’s leadership contributes to building a culture of service, safety, compassion and collegiality within a team to influence patient care. The nurse/midwife is highly regarded by their supervisors, peers or colleagues as a future or current leader in their work area or organisation. The short listing and judging panels will be looking for evidence of leadership attributes and behaviour, as applicable to the nominee’s current position. This award recognises the nurse/midwife who is an excellent role model and demonstrates commitment to activities and behaviours that contribute to a culture of life-long learning. The nominee influences standards of practice, clinical decision making and reflective practice to impact health outcomes through exemplary nursing and midwifery education. This category is for enrolled nurses, registered nurses or midwives working in the area(s) of educating: student nurses or midwives; nurses or midwives in their workplace; nurses or midwives studying at a postgraduate level; or patients/clients. This award recognises the nurse/midwife who demonstrates commitment to advocacy, leadership and collaborative practice to facilitate person centred care and positive health and welfare outcomes for consumers in rural and remote communities. The nurse/midwife is innovative and engages in building relationships and partnerships to overcome the unique challenges presented in this practice setting. This category is for enrolled nurses, registered nurses or midwives who are currently working to provide services to the WA rural and remote communities not covered by other categories and acknowledges the unique challenges experienced by nurses and midwives practicing in rural and remote localities. This award recognises the outstanding graduate nurse or midwife who has demonstrated exceptional commitment to ensuring they deliver person centred care within their scope of practice. The nominee is recognised as a role model and is highly regarded by supervisors and peers. This category is for graduate enrolled nurses, registered nurses or midwives who are currently completing or completed their graduate year after June 2016. This nomination is related to the nurse or midwife’s current position, not what they have done prior to their graduate program. This award recognises the commitment of nurses in delivering person centred care to influence the quality of life and health outcomes of the residents in their care. The nominee collaborates with the resident, families, carers and members of the health care team to ensure care is person centred. The nominee exhibits a passion for their area of practice and is recognised as “going the extra mile” to positively influence standard of care. This category is for enrolled nurses, registered nurses currently working in areas of residential care. Residential care refers to long-term care given to adults or children who stay in a residential setting rather than in their own home or family home. Examples may include residential facilities such as aged care, disability care, hospice, mental health, drug and alcohol or rehabilitation. This category recognises the contribution of nurses and midwives working in these varied sectors. The nominee demonstrates an excellent standard of practice and professionalism to provide high quality, safe, evidence based person centred care leading to improved health outcomes. This category is for enrolled nurses, registered nurses or midwives currently working in the area(s) of primary health, public health or community care. Examples include community nurses or midwives, public or population health, primary health, community mental health, domiciliary nursing, school health, child health, disability services, aged care or practice nursing. This award recognises the contribution of the nurse/midwife who has demonstrated leadership and commitment to improving the quality of health care by engaging in nursing/midwifery research to inform nursing/midwifery practice. Nominations of nurses and midwives working in both the clinical and academic settings are encouraged. This category is for enrolled nurses, registered nurses or midwives who are contributing to research and creating evidence from this research that enhances the nursing and/or midwifery professions, rationalises interventions or practice and/or has positive outcomes for patients. This award recognises the nurse/midwife who demonstrates outstanding commitment to ensuring their nursing or midwifery practice is contemporary, person centred and culturally sensitive to empower Aboriginal and Torres Strait Islander people in making informed choices to improve health outcomes. This category is for enrolled nurses, registered nurses or midwives working in any area/sector who works collaboratively with the patient, family and/or community and healthcare team to provide person centred care to the Aboriginal or Torres Strait Islander people. This award acknowledges nursing and/or midwifery teams who provide a service that benefits the patient/client or community. The team works collaboratively with patients, clients, families, carers and/or other health clinicians to provide evidence based person centred care which contributes to improving health care outcomes. The team demonstrates passion for the nursing or midwifery profession by “going the extra mile” and by demonstrating a ”can do” positive attitude. The nominated team must have a minimum of two or more nurses and/or midwives. The award will only be presented to members who are nurses and/or midwives. This award allows for self-nomination by the nursing and midwifery team members or for nominations from individuals other than the team members to be submitted. Nurses and midwives promote health, safety and wellbeing within the community and make a difference to the lives of patients or clients and their families as part of their normal working day. The Consumer Appreciation Award is the opportunity for a patient or client or a support person to acknowledge the nurse or midwife who cared for them. For a sample nomination in this category click here: Consumer Appreciation Example. Nurses and midwives make a difference to the lives of patients or clients and their families as part of their normal working day. 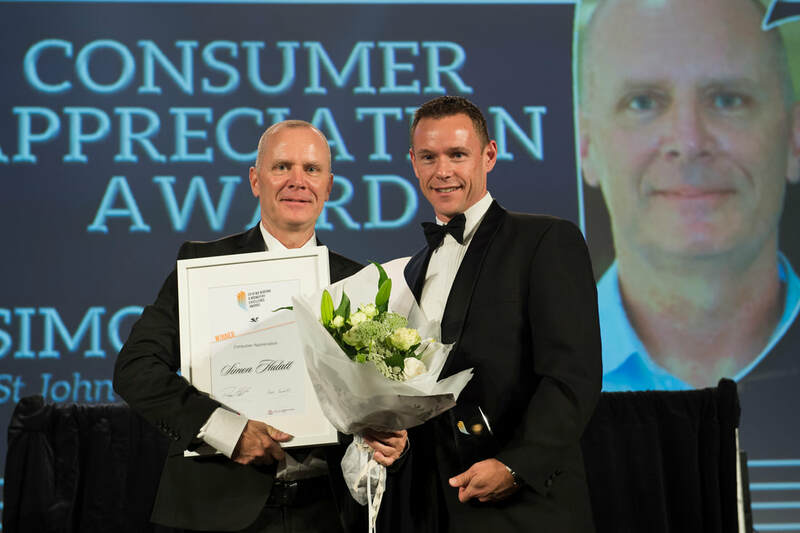 ​The Consumer Appreciation Award is the opportunity for a patient or client or a support person to a patient or client to make a difference to the nurse or midwife who cared for them.